The fall of the Communist bloc in 1991 brought high hopes for the international community. In particular, there arose an “early optimism about the potential of the” United Nations to “help settle internal conflicts.” Previously, the constant clashes between the United States and the Soviet Union and the resulting vetoes prevented the United Nations Security Council from intervening to maintain international security. With the collapse of the Soviet Union, the Security Council seemed to be free to finally exercise its primary responsibility through the active deployment of UN peacekeepers. This hope was unfortunately shattered by the marked failures of the UN peacekeeping operations of the 1990’s. In Rwanda, understaffed Belgian troops could do nothing but watch as Hutu rebels massacred Tutsi refugees and moderate Hutus. In Srebrenica, Serb forces held Dutch peacekeepers hostage and killed more than 8,000 Bosniaks. These tragedies increased scepticism about the effectiveness of UN peacekeeping. This doubt still remains even after the United Nations resolved to emphasise its protection of civilians in later peacekeeping operations. No wonder the scholarship remains divided on whether UN peacekeeping reduces intentional violence perpetrated against civilians. Specifically, does UN peacekeeping decrease the count of one-sided violence, defined as “purposeful killings” of civilians by combatants? Answering this question through the examination of empirical data has proved especially difficult. For example, based on a dataset from intrastate conflicts in sub-Saharan Africa from 1991 to 2008, Hultman, Kathman and Shannon claim that “UN peacekeepers prevent civilian killings when they are appropriately tasked and deployed in large numbers.” Kocher, however, finds “little evidence that” peacekeeping has “affected the level of violence against civilians,” after examining the very same dataset Hultman, Kathman, and Shannon used. Conflicting scholarship has led to opposing policy advice on whether to increase or decrease the involvement of UN peacekeeping in resolving civil conflicts. This quandary raises two central questions. First, does peacekeeping truly reduce violence committed against civilians in civil wars? If so, then what are the mechanisms that allow UN peacekeeping to reduce one-sided violence against civilians most effectively? 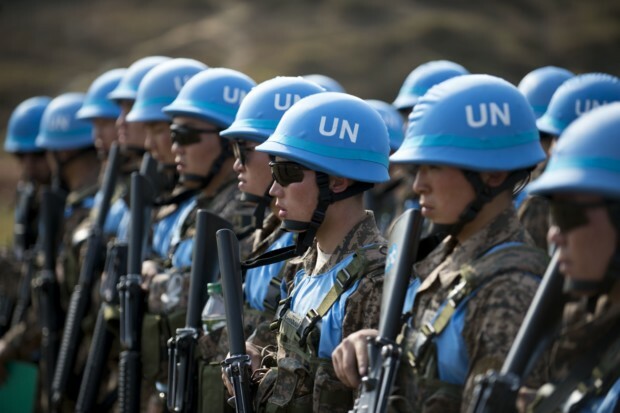 To answer these questions, this essay will first examine the evolution of peacekeeping throughout history and explore the different types and components of UN peacekeeping operations. It will then examine the motivations of different actors, such as the rebels and the government forces, in perpetrating violence against civilians. After discussing the challenges to empirical study of peacekeeping, the essay will scrutinise the causal mechanisms by which different features of peacekeeping operations, from their size to their quality, help reduce civilian casualties under specific conditions. Until the end of the Cold War, peacekeeping was primarily used to mediate inter-state conflicts. Fortna notes that prior to 1989, the purpose of peacekeeping was “to contain the conflict to prevent direct superpower intervention,” in lieu of directly preventing the resumption of war. Most missions consisted of observers and small-scale troops “unarmed military observers and lightly armed troops” who monitor ceasefires and build confidence between warring parties, with the notable exceptions being the large-scale deployments to Congo in 1960 and to Cyprus in 1974. The mostly limited character of UN peacekeeping before the fall of the Berlin Wall was thus very different from how people conceive of the role of peacekeeping today. The dynamics in peacekeeping shifted after the 1990’s. With incidences of inter-state war decreasing and those of intra-state civil conflict rising, UN peacekeeping also began to focus not just on the cessation of war but also on building sustainable peace. This meant that UN peacekeepers incorporated “multidimensional” missions that included human rights monitoring, security sector reform, disarmament, and re-integration of former combatants alongside more “traditional” missions involving military personnel observations. After the widely-criticised missions in Somalia, Rwanda, and Bosnia, the Security Council began mandating many peace enforcement missions under Chapter VII to use force beyond simply self-defence purposes, in order to achieve their objectives. At the same time, the UN decided to include civilian protection in the main agenda of peacekeeping missions, reflecting on the mistakes in Rwanda and Bosnia. Today, the number of deployed peacekeepers has increased to 110,000, a staggering surge from mere hundreds in the mid-20th century. In addition, peacekeeping forces now include military troops, police officers, and civilians, such as legal experts and humanitarian workers, illustrating a noticeable transformation from the unarmed or lightly-armed observers and military personnel in the early days of peacekeeping. Contrary to popular perception, the United Nations Peacekeeping Forces come in numerous forms, varying in their missions and compositions. Distinguishing different types of peacekeeping missions allows us to disentangle how peacekeepers affect the outcomes of war and the incentives of the involved actors. Peacekeeping missions differ in their scale of involvement, from observation missions composed of observers that monitor ceasefires or troop withdrawals to multidimensional missions that “help implement comprehensive peace agreements” with substantial military and civilian involvement, to cite just a few. These peacekeeping missions can be further disaggregated into three types of roles. As UN troops intercede between combatants and disarm the belligerents, UN police forces patrol behind the frontlines and protect vulnerable populations. Meanwhile, UN observers document combatants’ actions for the general public, “report to a global audience on atrocities committed by combatants,” but unlike UN troops or police they are not armed and do not have the mandate to use force. Differentiating these components is important in analysing UN peacekeeping’s effect on reducing violence against civilians, since their presence and actions alter the motivations of government forces and rebels differently. Why do belligerents attack civilians in civil conflicts? The rationalist school of literature argues that in civil wars, combatants are motivated “to misrepresent privately held information” to bargain for a more beneficial outcome and wage war, rather than to pursue “peaceful solutions to their grievances.” They are thus motivated to show their will to continue fighting by inflicting significant losses on others. Since attacking civilians involves lower risk for the perpetrator than confronting armed adversaries does, belligerents often target civilians strategically to improve their relative position vis-à-vis their opponents. Combatants might also resort to coercion and violence against civilians to secure their loyalty and punish them for supporting their adversaries. This violence could intensify if there is a possibility that adversaries are hiding among civilians for support. In addition, belligerents may commit violence against civilians to acquire valuable resources and land. Combatants, however, also have the incentive to attack civilians even after the cessation of conflict. A particularly strong motivation comes from the commitment problem, in which the belligerents believe that “gains from fighting outweigh the concessions offered by a negotiated outcome,” especially when there is “uncertainty over future distribution of political power.” The security dilemma from disarmament aggravates this, since combatants give up their ability to protect themselves by disarming and make themselves vulnerable to government forces that can renege on their “previous commitments to the group.” This compels warring factions to maintain military capabilities and “use violence to shape civilian” behaviour to grab power in the post-conflict political process. Factionalism within combatting groups may also motivate belligerents to victimise civilians. Hardliners or informal militia members sometimes worry that the negotiated settlement could marginalise them from the post-conflict political process; as such they may view settlements as more costly than continued fighting. In this case, inflicting violence on civilians can “signal a fringe faction’s willingness to continue the fight” and to spoil the peace negotiations by portraying their more moderate partners as noncredible. Finally, profit-seeking behaviour among armed factions lends itself to violence against civilians. The absence of “a strong security apparatus” allows former combatants to loot resources from unarmed civilians. Some combatants might also form new organisations or “apolitical militia groups” solely dedicated to exploit profitable resources, potentially instigating another civil conflict and jeopardising the recently-attained peace. These motivations illustrate how combatants could be incentivised to perpetrate violence against civilians, both during and after the conflict. The success of peacekeeping operations in protecting civilians from these threats hinges on their capacity to attenuate or alter these malicious incentives. How can peacekeeping operations achieve that? Identifying causal mechanisms require a closer examination of the relationship between causes and effects. Many scholars use some forms of regression to empirically studying this relationship. But grave danger exists in naively regressing civilian casualties on the presence of UN peacekeepers, because many regression models require strict quantitative assumptions that the data often does not meet. There are two empirical challenges to studying the effect of peacekeepers on civilian casualty reduction, which merit discussion before exploring the causal mechanisms themselves. The aforementioned variety in peacekeeping implies that UN peacekeeping differs in their forms and abilities. But many scholars rely on a blunt measure of peacekeeping by merely documenting the absence or the presence of peacekeepers. This does not “capture nuances across and within missions.” For instance, the peacekeeping mission sent to Burundi in 2005 included only 200 observers, whereas the one to Somalia had 30,000 military troops in late 1993. Moreover, the peacekeeping mission to Mozambique grew in size from 200 to 1,000 police members within 10 months in 1994. Yet, the binary coding will treat these different peacekeeping missions in identical fashions, failing to measure the variations across and within missions. It would also “ignore the tools available” to peacekeeping operations and “their capacities for” dealing with post-conflict instability. The diverse features in peacekeeping must therefore be disaggregated to scrutinise how each mission affects the level of violence inflicted on civilians differently. Another challenge in empirically investigating peacekeeping operations comes from issues with causality. Researchers must thus employ innovative empirical strategies to ensure that their results are robust against statistical insignificance. A prominent concern is the non-randomness of peacekeepers’ placement and the resulting endogeneity. For instance, the assignment of peacekeeping forces “may seem to lead to more deaths” if peacekeepers are intentionally sent to regions with high civilian casualties, when even higher level of civilian victimisation could have occurred without the presence of the peacekeepers. In essence, these studies fail to establish a baseline for what would have happened had the UN not sent peacekeepers. While a randomised control trial involving the random assignment of peacekeepers to different regions in a conflict would be the most effective way to measure the causal effect of peacekeepers on civilian casualties, this method be unfeasible and also highly unethical. It would be difficult to conduct the experiment on a national scale, and no scholar or policymaker would tolerate inflicting harm on civilians. A possible way to overcome this issue could be to use a matching strategy. This would ensure a more balanced dataset that ensures results will not be caused by systematic differences between regions with or without peacekeeping deployment. Another strategy would be to use an exogenous instrumental variable that causes an “as-if random” variation on the assignment of peacekeepers. For instance, using the rotating presidency in the Security Council that determines the placement of peacekeeping forces could account for possible unobservable factors that could affect the level of civilian victimisation. Previous sections discussed the evolution of UN peacekeeping, its diverse types and components, and the combatants’ incentives to inflict violence on civilians. The following part of this paper moves on to describe in greater detail how certain features of peacekeeping better reduce violence against civilians than other features do, with robust empirical evidence from recent studies. In particular, peacekeeping operations’ size, role, diversity, and quality will be considered, along with the type of violent perpetrator. Returning to the controversy mentioned in the introduction, Hultman, Kathman, and Shannon claim that greater numbers of UN troops and police are associated with fewer civilian deaths, while more observers increase civilian casualties. They point to the role of UN troops in creating buffer zones between combatants as barriers and disarming them. This alleviates the security dilemma by removing “each faction’s threat of subjugation by the other” and in turn remove the “incentives to coerce civilian loyalty” and the means to “inflict harm upon the civilian population.” Similarly, the UN police patrolleds behind the frontlines and increased “the costs to the combatants” for inflicting violence on civilians. The researchers maintain that the increase in the numbers of deployed troops and police amplifies “the capacity and the credibility of the UN’s commitment to protecting civilians.” To the contrary, the presence of observers creates more incentive for belligerents to target civilians, since observers cannot actively protect civilians, which belligerents interpret as the UN’s lack of resolve. Alternatively, the arrival of observers may signal the imminent arrival of stronger UN peacekeepers, which increases the belligerents’ incentives to improve their relative power before the status quo is consolidated. While Kocher objects to Hultman, Kathman, and Shannon’s interpretation, his argument is questionable. Kocher observes that “declines in violence typically led, rather than lagged, the introduction of peacekeepers,” hypothesising that combatants might have “reduced their targeting of civilians” with anticipation of peacekeepers’ arrival. Hultman, Kathman, and Shannon, however, already accounted for this argument by including a variable that represents the passing of a Security Council resolution to launch a peacekeeping operation in the regression. They confirm that the interpretation of their regression coefficients does not change after including the variable. Furthermore, Kathman and Wood demonstrate that greater numbers of peacekeeping troops reduce anti-civilian violence, a valuable result keeping in mind that post-conflict violence against civilians remains a serious concern. They show that the causal mechanisms Hultman et al. explain remain mostly valid for post-conflict violence, further noting that increasing troop deployments allow peacekeepers “to distribute resources to other tasks that promote human security”. One difference between the results of Kathman and Wood and those of Hultman, Kathman, and Shannon is that the effect of the UN police force on reducing violence against civilians varies across the types of violent perpetrators. While the UN police’s alleviation of the security dilemma reduces violence committed by rebels, it does not decrease that of militia who treat the UN police as “a threat to their ability to engage in illicit activities” and inflict further violence to resist political order. Fjelde, Hultman, and Nilsson find using subnational data that while the local presence of peacekeepers reduces rebel-inflicted anti-civilian violence, it is less effective in preventing government-inflicted violence. They argue that since the presence of peacekeeping forces increases the costs of violence for rebels, which may include directly fighting the peacekeepers or facing disarmament, the likelihood of violence against civilians by rebelling groups would be lower. In contrast, since host governments facilitate the peacekeepers’ “access to civilian population” and can effectively veto UN’s access to particular areas, the deployment of UN peacekeepers would not affect the probability of anti-civilian violence by government forces. To reconcile this result with previous national-level research, Fjelde et al. suggest that applying political cost on the national level through international shaming may be more effective for reducing anti-civilian violence by government forces. Similarly, Bove and Ruggeri claim that greater diversity in the peacekeepers’ countries of origin improves their capacity to protect civilians, and “incorporating linguistic and geographic distances” into the measures of diversity strengthens the effect of peacekeepers’ diversity on reducing civilian casualties. Bove and Ruggeri attribute this to diversity’s complementarity: greater diversity increases the probability of “having more technical capabilities and more recent campaigning experience,” which discourages combatants from using violence. Furthermore, they claim that peacekeepers from multicultural backgrounds are more effective in dealing with culturally diverse environments. In addition, diversity ensures “mutual monitoring among contingents” and reduces incidences of misconduct, which debilitate the cooperation between peacekeepers and locals and adversely affect their ability to protect the local civilians. Whether the effect of higher quality troops dominates the effect of greater diversity among troops or vice-versa is uncertain. It is also possible that the two effects are complementary, as Bove and Ruggeri suggest: pooling skills from troops of diverse backgrounds could aggregate their expertise and supplement their ability to protect civilians. Discerning this would require a careful empirical evaluation, preferably through randomisation. Taking into account the evolution of UN peacekeeping, its diverse types of missions, and the challenges in empirically studying it, UN peacekeeping is effective in reducing violence against civilians through altering the motivations of perpetrators, under certain conditions. Military troops of substantial size and high technical capabilities tend to protect civilians best. If they are stationed near the population and the conflict zone, they also contain threats from non-state actors better than those from government forces. What does this mean for future peacekeeping operations? It should be recognised that the success of peacekeepers in protecting civilians depends not only on their presence but also on their characteristics like size, quality, and place of origin. Moreover, imposing military cost works better when subduing rebels, whereas inflicting political cost affects government forces better. Policy-makers should thus consider the spatial and political environments of the region, in order to craft the most context-appropriate peacekeeping operation for that specific time and place. Aarvik, Egil. “Award Ceremony Speech.” Nobel Media AB. Accessed December 12, 2018. https://www.nobelprize.org/prizes/peace/1988/ceremony-speech/. Bove, Vincenzo, and Andrea Ruggeri. “Kinds of Blue: Diversity in UN Peacekeeping Missions and Civilian Protection.” British Journal of Political Science 46, no. 3 (2016): 681-700. https://doi.org/10.1017/S0007123415000034. Carnegie, Allison, and Christoph Mikulaschek. “The Promise of Peacekeeping: Protecting Civilians in Civil Wars.” Working paper, 2017. https://dx.doi.org/10.2139/ssrn.2909822. Fjelde, Hanne, Lisa Hultman, and Desirée Nilsson. “Protection Through Presence: UN Peacekeeping and the Costs of Targeting Civilians.” International Organization 73, no. 1 (2019). Published electronically August 29, 2018. https://doi.org/10.1017/S0020818318000346. Fortna, Virginia Page. Does Peacekeeping Work? Shaping Belligerents’ Choices after Civil War. Princeton: Princeton University Press, 2008. Haass, Felix, and Nadine Ansorg. “Better Peacekeepers, Better Protection? Troop Quality of United Nations Peace Operations and Violence against Civilians.” Journal of Peace Research 55, no. 6 (2018): 742-758. https://doi.org/10.1177%2F0022343318785419. Hultman, Lisa, Jacob Kathman, and Megan Shannon. “United Nations Peacekeeping and Civilian Protection in Civil War.” American Journal of Political Science 57, no. 4 (2013): 875-891. Hultman, Lisa, Jacob Kathman, and Megan Shannon. “United Nations Peacekeeping Dynamics and the Duration of Post-Civil Conflict Peace.” Conflict Management and Peace Science 33, no. 3 (2015): 231-249. https://journals.sagepub.com/doi/pdf/10.1177/0738894215570425. Kocher, Matthew A. “The Effect of Peacekeeping Operations on Violence against Civilians in Africa: A Critical Re-Analysis.” Working paper, Department of Political Science, Yale University, New Haven, CT, 2014. Virginia Page Fortna, Does Peacekeeping Work? Shaping Belligerents’ Choices after Civil War (Princeton: Princeton University Press, 2008), 1. Hultman, Kathman, and Shannon, “United Nations Peacekeeping,” 888. Matthew A. Kocher, “The Effect of Peacekeeping Operations on Violence against Civilians in Africa: A Critical Re-Analysis,” Working paper, Department of Political Science, Yale University, New Haven, CT, 2014: 11. UN Charter art. 42 (June 26, 1945), accessed December 12, 2018, http://www.un.org/en/sections/un-charter/chapter-vii/index.html. When the Korean War broke out in June 1950, the Soviet Union was absent from Security Council discussions, because it was protesting the fact that Republic of China, not People’s Republic of China, held a Security Council seat. This prevented the USSR from vetoing the UN measure to intervene in the War on behalf of Republic of Korea. The Suez Canal Crisis broke out in 1956 when Israel, the United Kingdom, and France invaded Egypt in response to Egyptian nationalisation of the Suez Canal. The UK and France vetoed a resolution that called on Israeli forces to withdraw behind the borders. Egil Aarvik, “Award Ceremony Speech,” Nobel Media AB, accessed December 12, 2018, https://www.nobelprize.org/prizes/peace/1988/ceremony-speech/. This explanation comes from the presentation speech of the Nobel Peace Prize in 1988, which was awarded to the United Nations Peacekeeping Forces. “Our History,” United Nations Peacekeeping, accessed December 12, 2018, https://peacekeeping.un.org/en/our-history. Fortna notes on page 4 that due to this reason, peacekeeping missions before 1989 reveal little about peacekeeping’s ability to maintain peace. This also means that empirical studies on peacekeeping’s effect on reducing violence or preventing resumption of civil war often limit themselves to studying peacekeeping missions deployed after 1989. Hultman, Kathman, and Shannon, “United Nations Peacekeeping,” 879-880. Hultman, Kathman, and Shannon, “United Nations Peacekeeping,” 880. Lisa Hultman, Jacob Kathman, and Megan Shannon, “United Nations Peacekeeping Dynamics and the Duration of Post-Civil Conflict Peace,” Conflict Management and Peace Science 33, no. 3 (2015): 232, https://journals.sagepub.com/doi/pdf/10.1177/0738894215570425. Allison Carnegie and Christoph Mikulaschek, “The Promise of Peacekeeping: Protecting Civilians in Civil Wars,” working paper, 2017: 4-5, https://dx.doi.org/10.2139/ssrn.2909822. Carnegie and Mikulaschek, “The Promise of Peacekeeping,” 5. Fjelde, Hultman, and Nilsson, “Protection Through Presence,” 4. Hultman, Kathman, and Shannon, “United Nations Peacekeeping Dynamics,” 233. Security dilemma refers to a case in which under anarchy, states’ actions designed to increase its security unintentionally provoke other states to take similar measures, eventually leading them towards military conflict. Hultman, Kathman, and Shannon, “United Nations Peacekeeping Dynamics,” 234. Kathman and Wood, “Stopping the Killing,” 152. Kathman and Wood, “Stopping the Killing,” 152-153. Kathman and Wood, “Stopping the Killing,” 153. As an example, consider a simple regression model, the ordinary least squares (OLS). According to the Gauss-Markov Theorem, for OLS to be an efficient estimator, it must meet three assumptions: a) that the model is correctly specified as ; b) the error term is independently and identically distributed with mean of 0 and a finite variance; c) the variance of is strictly positive. In this case, the second assumption is easily violated, since the deployment of peacekeepers can be correlated with unobserved omitted factors captured by the error term. Hultman, Kathman, and Shannon, “United Nations Peacekeeping,” 876. Hultman, Kathman, and Shannon, “United Nations Peacekeeping Dynamics,” 232. Kathman and Wood, “Stopping the Killing,” 155. Carnegie and Mikulaschek, “The Promise of Peacekeeping,” 2. The technical explanation for this strategy is beyond the scope of this paper. Essentially, using the matching strategy allows researchers to compare datapoints from similar contexts and backgrounds. Fjelde, Hultman, and Nilsson, “Protection Through Presence,” 13. Hultman, Kathman, and Shannon, “United Nations Peacekeeping,” 879. Hultman, Kathman, and Shannon, “United Nations Peacekeeping,” 881. Kocher, “The Effect of Peacekeeping Operations,” 10. Kocher, “The Effect of Peacekeeping Operations,” 11. Hultman, Kathman, and Shannon, “United Nations Peacekeeping,” 887. Kathman and Wood, “Stopping the Killing,” 149. Kathman and Wood, “Stopping the Killing,” 156. Kathman and Wood, “Stopping the Killing,” 164. Carnegie and Mikulaschek, “The Promise of Peacekeeping,” 20. Carnegie and Mikulaschek, “The Promise of Peacekeeping,” 6. Carnegie and Mikulaschek, “The Promise of Peacekeeping,” 7. Fjelde, Hultman, and Nilsson, “Protection Through Presence,” 26. Fjelde, Hultman, and Nilsson, “Protection Through Presence,” 6. Fjelde, Hultman, and Nilsson, “Protection Through Presence,” 8. Fjelde, Hultman, and Nilsson, “Protection Through Presence,” 7. Felix Haass and Nadine Ansorg, “Better Peacekeepers, Better Protection? Troop Quality of United Nations Peace Operations and Violence against Civilians,” Journal of Peace Research 55, no. 6 (2018): 744, https://doi.org/10.1177%2F0022343318785419. Haass and Ansorg, “Better Peacekeepers, Better Protection?”, 744. Haass and Ansorg, “Better Peacekeepers, Better Protection?”, 744-745. Haass and Ansorg, “Better Peacekeepers, Better Protection?”, 751. Vincenzo Bove and Andrea Ruggeri, “Kinds of Blue: Diversity in UN Peacekeeping Missions and Civilian Protection,” British Journal of Political Science 46, no. 3 (2016): 683, https://doi.org/10.1017/S0007123415000034. Bove and Ruggeri, “Kinds of Blue,” 686. Bove and Ruggeri, “Kinds of Blue,” 687.